Today we are unstoppable, it’s time for shopping with us! Tell us one thing that’s better than online shopping right now… Exactly! 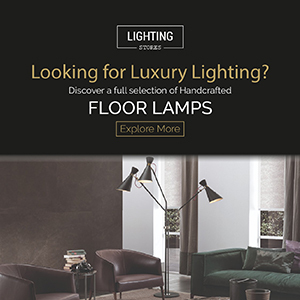 That’s why we partnered with DelightFULL, to show you some of the best lighting pieces that deserve your attention. One from each category: suspension, floor, table, wall, and a piece from the graphic collection? Are you ready to keep up with us? Let’s shop! With an expressive harmonic beauty, Clark modern pendant light is one of DelightFULL’s most iconic pieces. This seemingly minimal lamp is handmade in brass, using the classic method of bending the brass twice into a rounded oblong shape, which allows for a bright cast of light. The standard finish is gold-plated, but it can also be customized in copper, nickel, or even receive an aged brass finish. The pole height is also changeable in order to better fit your decor needs. Clark is a great example of how suspended light can embody all the class of the mid-century modern age. It is the perfect hanging lamp for your modern dining room, mid-century bedroom, or even a hotel bar. Inspired by the one and only Nina Simone, DelightFULL designers have taken a classic lighting design and reinterpreted it into a fresh mid-century floor lamp. This unique lamp is a strong statement piece, that cannot go unnoticed wherever it’s placed. Simone is a three-light articulating floor lamp with glossy white shades and a structure handmade in brass. With textile red wires above the large lamp shades, this retro light will create the perfect atmosphere for your mid-century modern home. All in all, Simone standing lamp aims to pass on Simone’s powerful personality, as well as her bold and warrior features. Grab the Las Vegas feeling inside or outside your design project! Inspired by the aura and authenticity of the city of lights this sophisticated lighting design has a copper plated and red frame that can be customizable on demand. Available in a mini version, the vivid colors reflect a state of being, creating an energetic atmosphere. Handmade in copper and acrylic. Versatile, you can put this lighting design on the wall or on the floor. Fitting for outdoors as well.